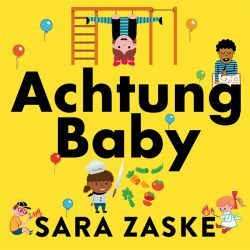 We talk with Sarah Zaske about what the Germans can teach us about raising kids. Her book is Achtung Baby: An American Mom on the German Art of Raising Self-Reliant Children. Then, what’s the impact of adverse childhood experiences on health across the lifetime? Dr. Nadine Burke-Harris discusses her book The Deepest Well: Healing the Long-Term Effects of Childhood Adversity. Writer’s Voice depends on your donations. Help support great programming. Donate here. Thanks! Sometimes it seems like the American style of parenting is driven more by fear than anything else. We don’t let kids go anywhere alone for fear something terrible will happen to them; we stress over whether they are reading early enough or racking up high enough test scores; we worry if they can out compete every other kid to get into the best schools. Maybe if we just relaxed a little more, our kids would be happier, more self-reliant and better able to get on with others. 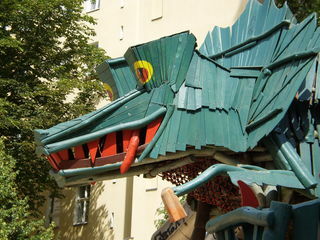 That’s what Sarah Zaske found when she and her family moved from the US to Berlin, Germany. She was surprised to find that German parents give their children a lot of freedom. Kids walk to school by themselves, ride the subway alone, cut food with sharp knives and even play with fire. German parents didn’t share Zaske’s parental fears — and their children were thriving. Her engaging and informative book Achtung Baby shares the many parenting lessons she learned from living in Germany and provides much food for thought for American parents today. We have an epidemic of childhood trauma in this country. Whether it’s from abuse, neglect, parental substance abuse, bullying or a host of other stressors, some 75% of the US population has experienced at least one serious adverse childhood experience — or ACE — by the time they have reached adulthood. The more ACEs you have, the more toxic the stress. Childhood trauma isn’t something you just get over as you grow up. Pediatrician Nadine Burke-Harris says that the repeated stress of abuse, neglect and parents struggling with mental health or substance abuse has tangible effects on brain development. This unfolds across a lifetime, to the point where those who’ve experienced high levels of trauma are at triple the risk for heart disease and cancer. Nadine Burke-Harris is the founder and CEO of Center for Youth Wellness in San Francisco. 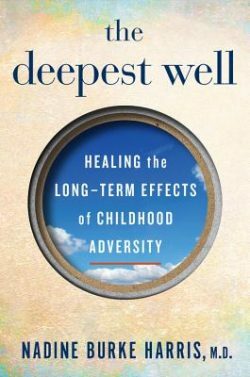 Her book is The Deepest Well: Healing the Long-Term Effects of Childhood Adversity and she has given a widely acclaimed TED talk on how childhood toxic stress affects health across a lifetime.